here only for reference purposes. New Feature: Apartment Life - The AGS is now compatible with the Apartment Life EP: you can include or exclude it at will. 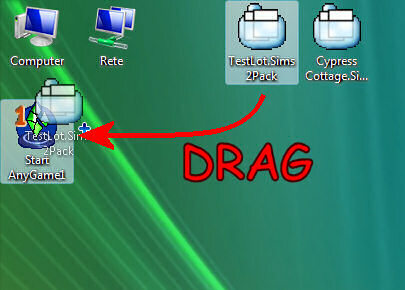 New Feature: Store Edition - The AGS is now compatible with The Sims 2 Store Edition (beta); for anyone curious about this, SE is seen as a Stuff Pack by the game; it doesn't add anything to the game (you have to buy/download stuff online), but there are some exclusive objects that will appear only if you have SE installed and activated. Therefore, the AGS now gives the ability to include SE in the minigame. However, I strongly suggest to deactivate it, unless you really need it: it's mostly useless in a minigame, and might cause your creations to require SE to work. Improvement: [Double] Deluxe - Solved a little bug that made the "No Maxis Content" option not work properly with [Double] Deluxe. Improvement: "Wrong Disk" error - The internal code has been partly rewritten, hopefully solving the "Wrong Disk" bug that some users were experiencing with IKEA. Improvement: Faster loading and cleaner catalog - When using the "Mini Game (no Maxis content)" option, the hidden lots (FT and AL) are now created without any characters; they will be created automatically by the game whenever really needed. Also, all the pre-made Dorms, Hotel and Apartments have been stripped from the Lot Bin. Do you want to temporarily exclude the Stuff Packs from your game? Or experience the thrill of playing a game that has only FFS, Celebration and a Christmas pack? Do you want to test an object against an odd game configuration? Now you can! The AnyGameStarter (in brief: 'AGS') allows to create a test-game (and optionally a test-Bodyshop) including or excluding any Expansion Pack, Stuff Pack and Add-on Packs (among the ones that you own, of course ). This can be considered a sort of "extension" of the BaseGameStarter, but it's a completely autonomous tool anyway. The AGS installer is very easy to use; it can create up to three different games (each one with its optional BodyShop), configured according to the options you select. The three "slots" are named "AnyGame1", "AnyGame2" and "AnyGame3"; you can create, modify and delete them at will. Your "Full" game will NOT be modified in any way: the AGS is completely autonomous from it. 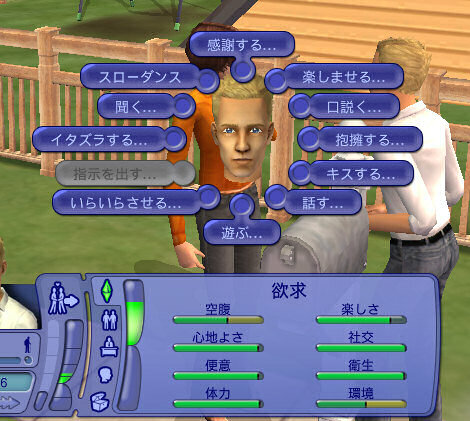 Please note that the installer is "intelligent": it will display only the options that can actually be chosen; if you don't have Pets, for instance, you won't see the "Pets" checkbox in the list; also, the 'slot' list changes according to the AnyGames already existing on your computer. Please note that every time you REPLACE or DELETE an AnyGame slot, the corresponding game is *completely* deleted from your computer. Use the standard 'Add/Remove Program' panel. Uninstalling will completely delete all the AnyGames, their Downloads and their Neighborhoods. 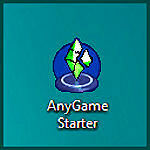 No traces of the AnyGameStarter will be left behind. The installer runs under Windows (from NT4 to Vista). Whenever one AnyGame is started, the path to the Documents is temporarily modified in the Windows Registry (it is automatically restored to the original values in 30 seconds). The AGS is quite stable and - if properly used - should not issue any error. However, the program files are located in (Documents)\AnyGameStarter\AppFiles: if you need help, please zip the 'AppFiles' folder and post it here as attachment. Thanks to Delphy for suggesting the smart solution to change the path to the Documents, instead of renaming the game folders! New Feature: IKEA Home Stuff - The AGS is now compatible with the IKEA Home Stuff SP: you can include or exclude it at will. Bugfixes: IKEA, EP detection and Lot installation - Under some circumstances, running an AnyGame caused the IKEA stuff to disappear from the Full Game; also, in some cases the EP/SP selector showed EPs actually not installed in the computer; lastly, the installation of lots (by Drag&Drop) didn't work fine when the screen resolution was set to fullscreen. All these bugs have been fixed. New Feature: Kitchen & Bath - The AGS is now compatible with the Kitchen & Bath SP: you can include or exclude it at will. New Feature: "AnyBodyshop" - Now you can optionally add a second icon to each AnyGame, that will start the related BodyShop (i.e. a BodyShop that includes only the EP/SP selected for the AnyGame). New Feature: "No Maxis Default Content" "Game Type" choice - In order to greatly speed up the game loading (especially the first time you run a newly-created AnyGame), you can optionally get rid of all the additional lots, families and neighborhoods that come with specific EPs (i.e. the "Maxis default content"): no more "Creating Pets/Weather/Exotic Destinations" screens, no more catalogs clogged with the same old lots and families! Moreover, this option will stop the intro movie from playing (even faster loading!). NOTE: you can still manually create colleges, exotic destinations, downtowns and everything; and you will still find all the clothings, hair styles etc. in the CAS/BodyShop. Standard Game - This option creates a complete game, with all the default neighborhoods, families, lots and everything; it's useful if you want to create a secondary "full game" with a specific theme (e.g. a "medieval" Pleasantville). Mini Game - This option creates a game containing only the "Mini-Game" neighborhood, with one occupied house already installed and two more in the lot bin; if you want, you can manually add the Maxis pre-made colleges, downtown, etc. (or create custom empty sub-NHs). This is the perfect environment for testing your creations or building lots to share. Empty Game - This will create a perfectly empty game, without neighborhoods, sub-nh, sims, lots: nothing at all. Choose this option if you want to create an entirely new neighborhood to share with other players. New Feature: Freetime - The AGS is now compatible with Freetime: you can include or exclude it at will. Improvement: Temporary language - The code related to the management of the temporary game language has been fixed and improved; there should be no more issues infrequent languages such as Russian or Hungarian. New Feature: NoSound - Now, when installing an AGS game, you can choose whether to mute it or not. Improvement: tooltip - For better readability, the tooltip shows the info split in 4 lines. BugFix: FullGame - Thanks to the users' reports, I've tracked down and fixed a bug that prevented the Full Game to run correctly whenever the user did NOT have all the EP/SP. Reinstalling the AGS will fix your Full Game. New Feature: Language choice - Now you can force the AnyGame to use a specific language, chosen from a list of 11 (plus, of course, your original language). This is extremely useful if you are going to create something aimed to an international audience: you can see how your creation behaves in a foreign game! New Feature: Teen Style - Now the AGS works fine with the Teen Style Stuff pack, and can include this SP into your AnyGames. New Feature: Icon Tooltip - Unlike the BGS, whose icons have an explanatory name, the AnyGame icons are somewhat "anonymous", and so you can forget which packs you have included in that particular mini-game. Now the AGS icons have a tooltip that will remind you the game configuration. complaints about not running the right game. If you are not experiencing this bug, you don't need to redownload. The AGS now does NOT cause game crashes any more. didn't already fixed it yourself reading THIS POST.